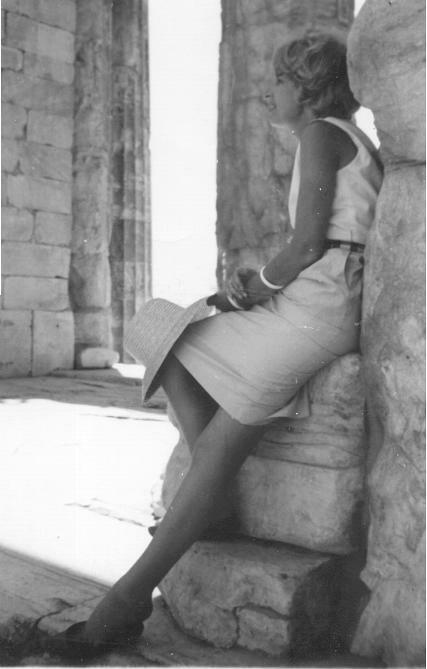 Mother’s Day is coming up, and , TerraNova would like to pay homage to our “mother” and founder, Jane Saunders, who founded Terranova over 45 YEARS AGO. We are grateful that a 50-year-old, stay-at-home mom, was able to push herself to start a business that has employed thousands of people over the years and inspired others to start businesses of their own. Jane was a pioneer in the natural body care industry. As the founder of the original The Body Shop Store in Berkeley, California, she was the first to use natural ingredients such as aloe, vitamins, and jojoba oil (which she purchased directly from the Chief of a Southwestern Indian reservation). She also loved to invent scents and spawned an entire genre of clean, fresh, & non-traditional scents that allowed the personality of its wearer to shine though. Some of our timeless customer’s faves come from our “Traditions Collection,” and include such classics as Rain, China Musk, China Rain and China Lily; which remain as popular now as they were back in the 70’s! Jane also loved Hawaii, where she could float in Pacific Ocean and hunt for sea shells. The lush islands inspired her to create the most authentic tropical scents possible. Today, these fragrances are part of our “Island Escapes Collection,” and continue to have an incredibly loyal following throughout Hawaii, and around the world! Favorites include Pikake, the exquisite Jasmine wedding flower; Plumeria, the rich, buttery lei flower; White Ginger‘s spicy fresh blossoms; the heady aroma of Tuberose; and the classic, sensual Gardenia. If you knew Jane and would like to post your favorite memories of her or those of your own mom, please include them here! We love to hear from you! I didn’t know your Mom, but that was a beautiful tribute to her! I have been wearing Rain for at least 30 years Started with Desert Rain, ( I miss that fragrance!) then on to Rain. Thank you for continuing such a great product and sharing your history! Hello Susan, We are so happy you have found us again. Thank you so much for your wonderful testimonial. We love finding out how our customers were introduced to our products, and how they bring them so much joy. That is really the true nature of our business, to come up with great products that make you look and feel great from head to toe. So it’s always a pleasure to see that we’ve achieved that. You’ll find our products at http://www.storeterranovabody.com and if you are in San Francisco at Rainbow Grocery on Folsom, cheers and enjoy. I have never gotten over or forgotten my favorite fragrance in the world that my fiance bought me on one of our first trips to Hawaii years ago…. your TerraNova Pikake Perfume! I was just surfing the web thinking about fragrance and remembered that I still needed to look up the name (I made sure to never forget) that was on the top of that now empty bottle so I could find it and always have it in my life… and here you are! Yeah!!!! Pikake forever!!! I tried on numerous attempts at different places in Kauai to find your perfume and would have to settle for your competitor’s version which just didn’t cut it AT ALL!!! I always thought you would be based in Italy because of the quality of your product and the name which I love… turns out you were my SF neighbor all along! So glad to see you are still in business and doing so well. You have a fantastic product line and everyone would always ask what fragrance I was wearing whenever I wore your Pikake perfume. I will be a true blue life long customer now that I have found you! Long live TerraNova!